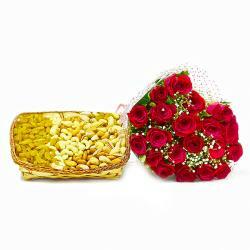 Product Consists: Bouquet of 10 Red Roses along with Mix Dry Fruit in a Box (Weight : 500 Gms). 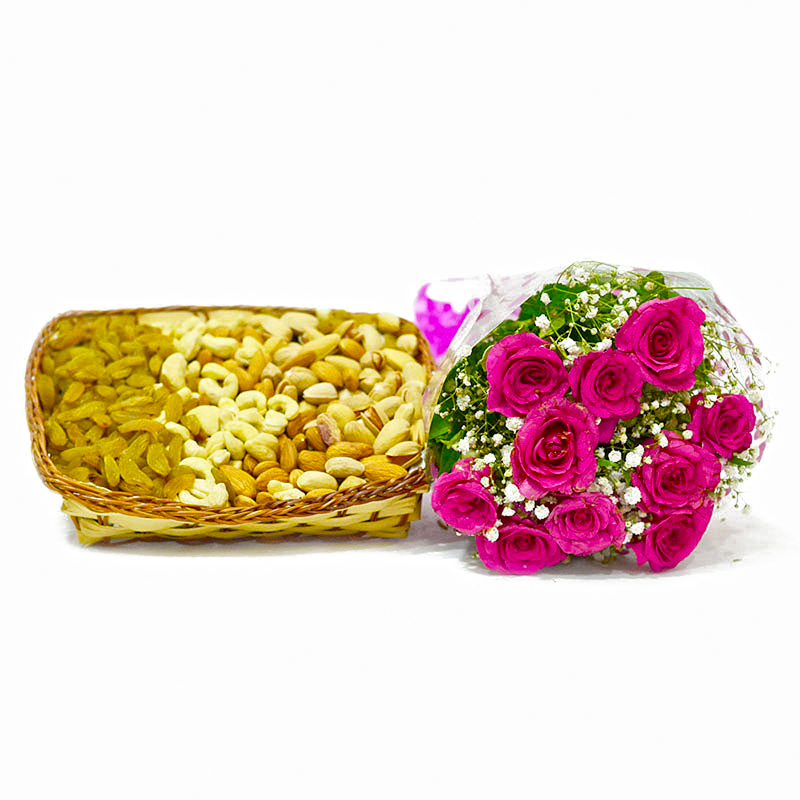 Roses and dryfruits have always been a delightful gift for anyone on any occasion, we have put together a fabulous combination not only just gifting purpose but also to express your sentiment to your loved ones. 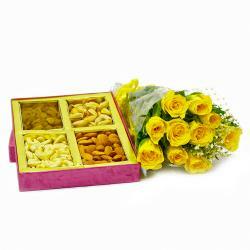 This is perfect gift combo comes with charming flowers like red roses beautifully arranged in mix dry fruit in a box. This awesome gift hamper is bound to touch hearts of loved ones with warmth of your love. This hamper used for big celebration like Diwali, Birthday, Grandparents Day, Wedding So go on and make it a memorable celebration for them by ordering this hamper. Send this bountiful hamper along with other Gifts to India through Giftacrossindia and amke your recipient feel special. 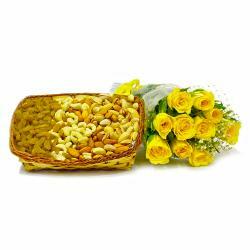 This gift hamper contains : Bouquet of 10 Red Roses along with Mix Dry Fruit in a Box (Weight : 500 Gms).